Don Cherry may not have been the most technically gifted trumpet player, he surely was among the most creative artists, of the last decades until his untimely death on October 19 in 1995. His implicit motto may well have been "the perfect is the enemy of the good", which allowed him to play many instruments, starting with piano, trumpet, pocket trumpet (his favorite), melodica, bamboo flutes, percussion, berimbau and dousn' gouni, and he even learned the Indian karnatic singing, always putting the musical result and expressivity above instrumental proficiency. He was at the heart of free jazz from its very first inception in the late fifties, and he entered musical space like a sponge, sucking up influences all over the place, actually learning new things in all open-mindedness, hoping to become musically and spiritually richer in the process. He turned all these influences into new things, unlikely combinations. Like any adventurer and pioneer, not every path he took resulted in success or is even worth remembering now, but many of his endeavors were unique and changed the musical landscape until now. He released albums with Ornette Coleman, Albert Ayler, Archie Shepp, Sonny Rollins, John Coltrane, Steve Lacy. Don Cherry's music was always light-footed and fun, but equally discipined and spiritual. He was free-jazzer, hippie and musical nomad, world music innovator, world citizen. He was open to any musical genre and contributed to lots of bands outside the jazz genre, including rock music, like Steve Hillage, Ian Dury, Lou Reed or some of his solos even ended as samples with dEUS. But he also played amongst others with Mahmoud Gania, Latif Khan, Foday Musa Sosa and Trilok Gurtu. He maintained a kind of adolescent attitude of wonder at the world and its inherent possibilities, something which transpires in all his music. 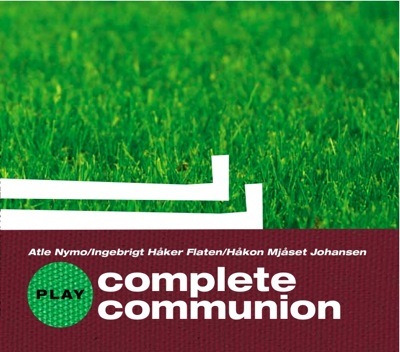 Among his easiest to recommend albums are "Complete Communion", "Mu", "Nu - BBC Sessions", his work with "Old & New Dreams" and "Codona". Even if we was historically not as important as Miles Davis, John Coltrane or Ornette Coleman, it is not a surprise that he is widely appreciated and that his music gets covered by other musicians. There are Don Cherry tunes that never leave my head, they boil up out of my unconscious at various times of the day, like "Togo", or "Mopti". 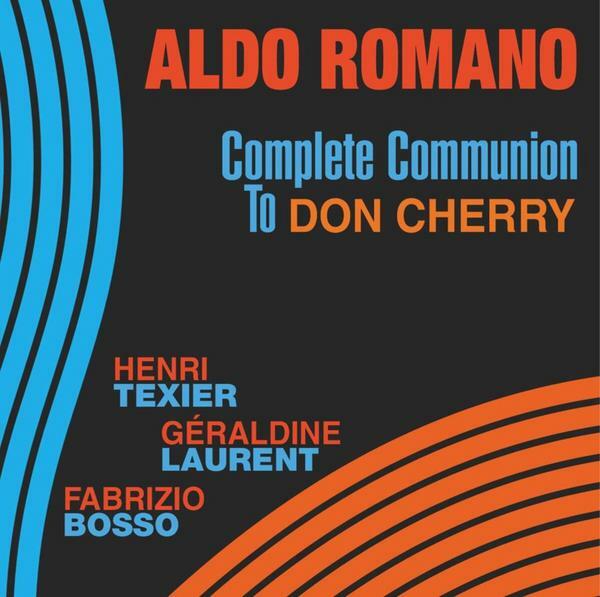 Just released, 15 years after Don Cherry's death, and 45 years after the release of the original "Complete Communion", this French band gives its interpretation of the suite, on the initiative of master drummer Aldo Romano, with master bassist Henri Texier on bass, and with a young horn front with Géraldine Laurent on sax and Fabrizio Bosso on trumpet. The big difference between this "Complete Communion" and the original is that Don Cherry never laid out the structure before they started playing. 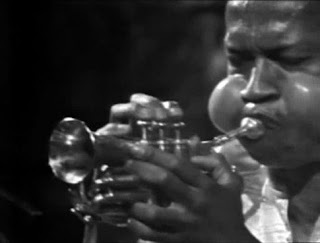 Don Cherry started with a few themes that the band members learned to play. Then they started to play music. 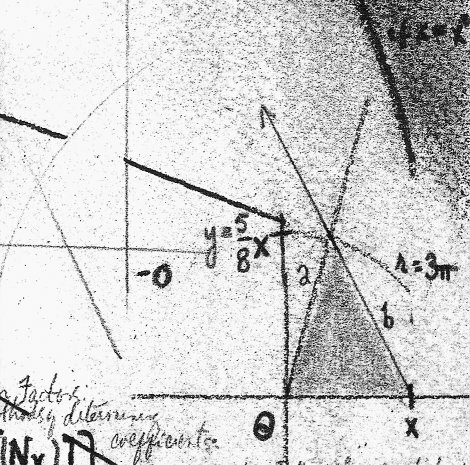 Cherry would start with a theme, then they would expand on it and improvise until the leader would start another theme without any planned timing or structural clue. That explains why on the original the timing is often a little bit out of sync, but on the upside it creates a magnificent feel of spontaneous and common creativity, of the joy of joining in the singing of the song that someone else has started. That's the "communal" part of his music. 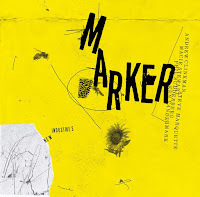 Despite the excellent playing on this album, they have reversed the order, starting with the structured themes in perfect lay-out, taking out the surprise element, while adding in polish and sophistication. 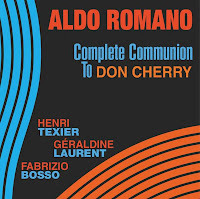 It is a nice bop album, with seven Cherry compositions, four by Ornette Coleman and one by Aldo Romano. If you want to hear great music by Aldo Romano and Henri Texier, look for their "Suite Africiaine" trio recordings with Louis Sclavis. 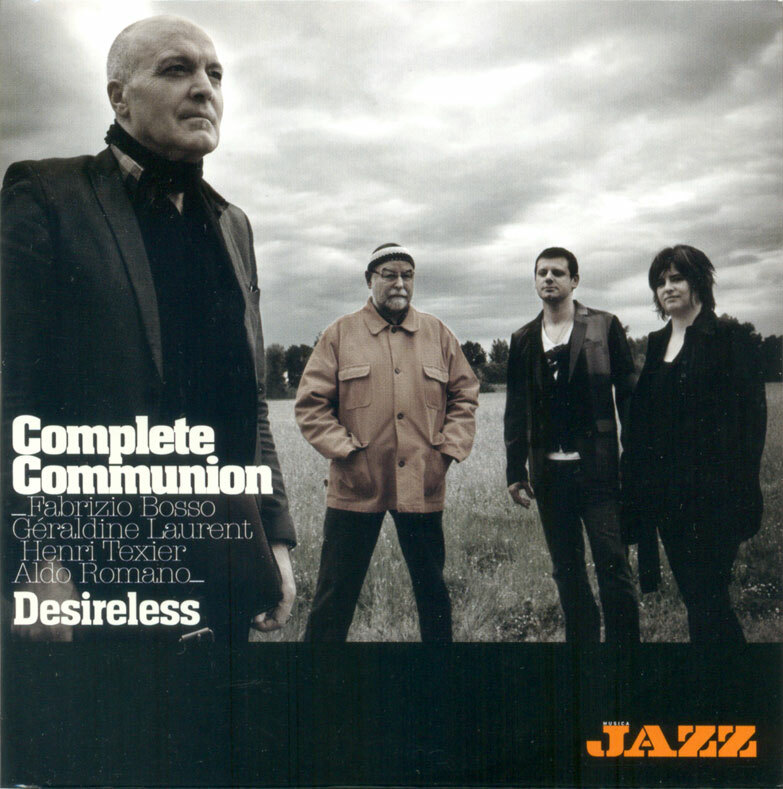 There is also a live version that was distributed for free with the Italian Jazz magazine. 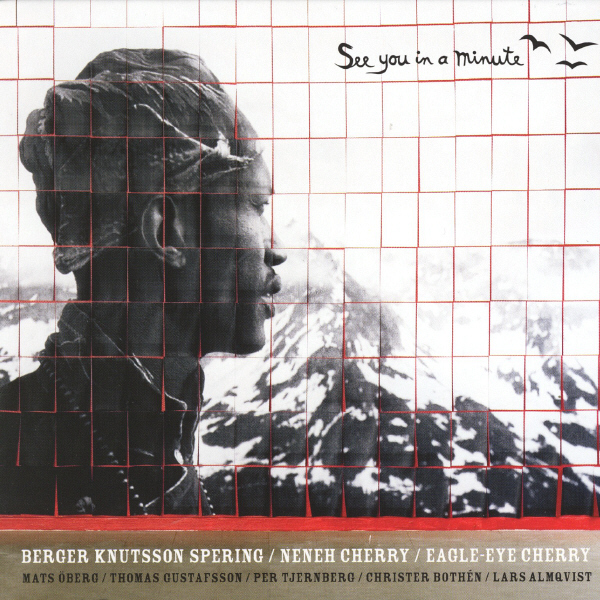 The same music by Don Cherry is also re-worked by a Norwegian trio : Atle Nymo (Motif) on saxophone, Ingebrigt Håker Flaten (Atomic) on bass, and Håkon M. Johansen (Motif, Maryland) on drums. (Thanks, Svenn for informing us - I haven't heard it yet). 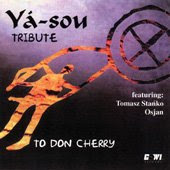 French horn player Tom Varner creates his own personal tribute to Don Cherry by penning a few compositions on the life of Don, starting with "Watts '56" on his first meeting with Ornette Coleman in a Watts record store to the incredibly sad "Leaving Malaga", on his untimely death in Malaga, Spain. For his project, he brings together a great band : Tony Malaby on tenor saxophone, Dave Ballou on cornet, Pete McCann on guitar, Cameron Brown on bass, Matt Wilson on drums. 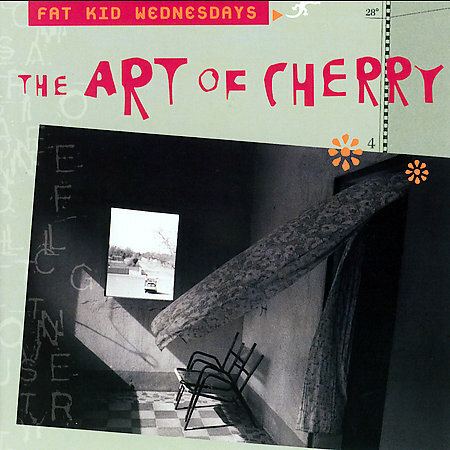 The Cherry tunes on the album are "Complete Communion", "Cherryco" and "Elephantasy".The album has its wild moments, but is relatively contained and more disciplined than what Don Cherry himself would have done. A great personal tribute. 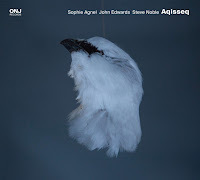 Yá-sou consists of Peter Apfelbaum on saxophones, flutes, percussion, vocal, Jai Uttal on dotar, guitar, charango, percussion, vocal, Horatio Altan on percussion, Milo Kurtis on percussion, vocals. 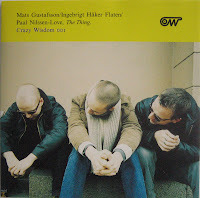 They get the company of Tomasz Stańko on trumpet for the second and third track, and of the members of Polish band Osjan on the last track: Jacek Ostaszewski on recorders, kaya-kum, vocal, percussion, Wojtek Waglewski on guitar, vocal, percussion, and Radoslaw Nowakowski on percussion. The album starts with a long very Indian piece in honor of Cherry. Then follow Rumba Multikulti and Malinye, two compositions by Don Cherry. If anything, this album comes closest to capturing the spirit of Don Cherry's music. It is so full of joy and humanity, lots of world music and fun interplay. Great stuff. The band "The Thing" is named after a Don Cherry song and they actually started as a Don Cherry tribute band. Their first album contains tracks like "Awake Nu", "Mopti", "Cherryco". No doubt one of my favorites. This album by Swedish saxophonist Mats Gustafsson and Hamid Drake on drums is a free improvisation tribute of a gig they played on the day Don Cherry passed away, so they turned their performance into an "Ode to Don Cherry", even if none of his material figures here. By itself a worthwhile performance. 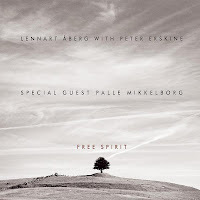 Bengt Berger on drums, Mats Öberg on keyboards, Christian Spering on bass, Jonas Knutsson on saxophone, Per Tjernberg on percussion, Christer Bo Bothén on bass clarinet, Sigge Krantz on bass, Thomas Gustafsson on sax, Lars Almqvist on trumpet, with Neneh and Eagle-Eye Cherry on vocals on two tracks. Released on October 19, 2005, ten years after Cherry's death, the album consists of "See You In A Minute, Moki’s Saxophone / Clicky Clacky / AC/DC / Ganesh / El Corazón / Fun / Dina Kana Gina / God Is At The Door. It has some "fusiony" keyboard horrors, and the song with Neneh Cherry does not really fit in the overall musical concept, but her presence here has of course a strong emotional value. A nice album. Listen and download from the label. There are also some alternate takes to download here. Italian drummer Tiziano Tononi assembles some of his country's best jazz musicians with Herb Robertson on trumpet. The band is Daniele Cavallanti tenor sax, Giovanni Maier on bass, Roberto Cecchetto on guitar, Umberto Petrin on piano, Lauro Tossi on trombone, and Piero Leveratto on bass. 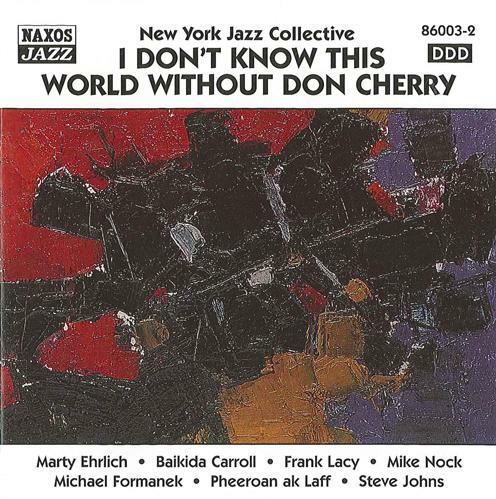 This real Don Cherry tribute contains only compositions by him. Somewhat too mainstream to my taste. 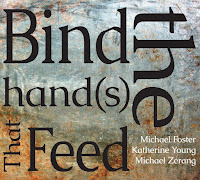 A great live recording with Ken Vandermark on reeds, Kent Kessler on bass and Hamid Drake on drums. 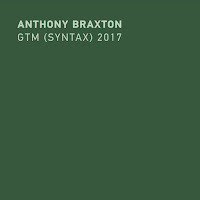 Tracks include : Awake Nu, The Thing, Brown Rice, Elephantasy plus some compositions by Sonny Rollins, Albert Ayler and Joe McPhee. The album is an ode to Don Cherry, but is comprised of new material by the band. 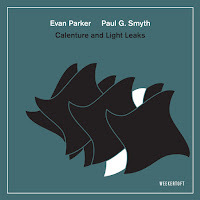 The New York Jazz Collective is Marty Ehrlich on sax, clarinet and flute, Baikida Carroll on trumpet and flugelhorn, Frank Lacy on trombone, Michael Formanek on bass, Pheeroan akLaff and Steve Johns on drums. The music is relatively mainstream, it doesn't take many risks. If it were not for the album's title, it would be very hard for the listener to hear in the music itself a reference to Don Cherry. Consisting mainly of compositions by Ǻberg and Erskine, Don Cherry's "Relativity Suite" stands at the center of the album. Ǻberg tries to capture the spirit of Cherry's music with a big band. 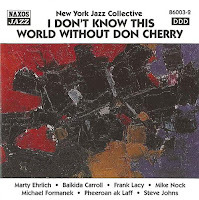 Not an easy task, and even if the result will be somewhat disappointing to the true Don Cherry fans, the playing is absolutely excellent and often rhythmically stunning. 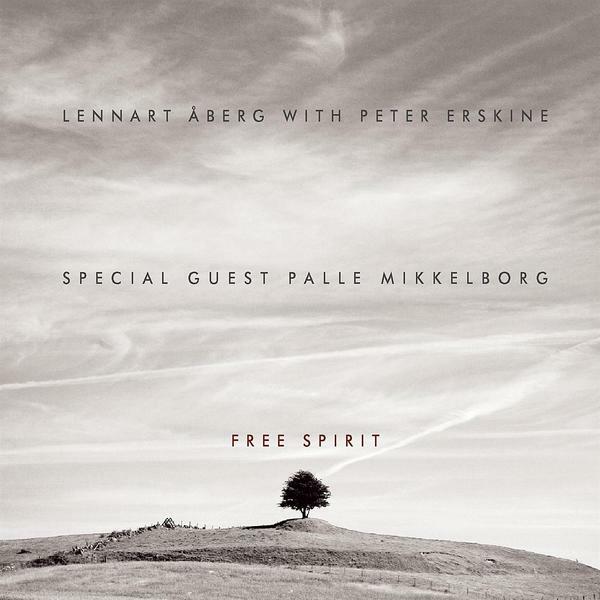 With Ǻberg on sax, Palle Mikkelborg on trumpet, Peter Erskine on drums. Read my review of this album here. Any other albums you're aware of? Too bad the links are down. And I hereby admit that I haven´t heard it (yet!). Great! Many thanks Svenn. I will look for it. Amazing, I didn't know there were so many tribute CDs (albums). 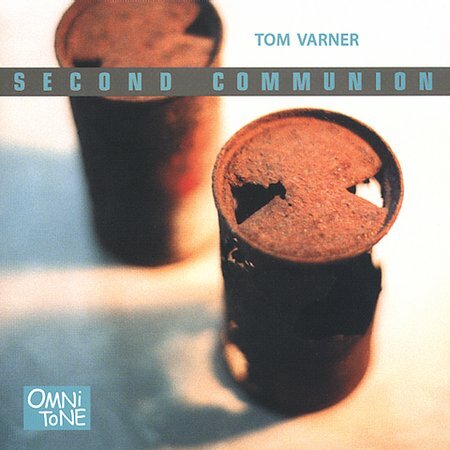 I must admit that I find Tom Varner's album particularly strong, and close to the spirit of the music, even if it's maybe not 'really free'. 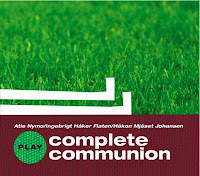 Oh, the Nymo, Håker Flaten, Mjåset Johansen album was released already in 2006. That´s why I felt I had to admit that I hadn´t heard it :-) - Pressing the download button on iTunes right now. Oops. I found it back referenced to 2008 on various sites including Ingebrigt Håker Flaten's blog. As well as the "Complete Communion" on Bolage, I can also highly recommend "Lorena" which is the same trio + Magnus Broo whose trumpet playing incorporates many cherryisms -- also on Bolage. I attended in Saalfelden a Don CHerry Complete Communion tribute in 2007. 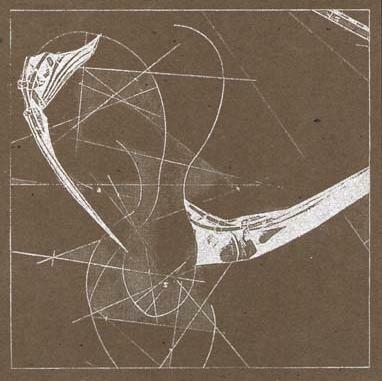 Dave Douglas, JD Allen, Hamid Drake, Jimmy Garrison, Adrew Cirille and many others. I never saw a record, though. Sure there are bootlegs of their 2007 european tour out there. 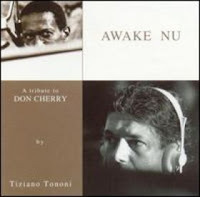 Tononi's awake Nu is a great double cd I like. Thank you for some other clue.